Where can I use central air conditioning units? 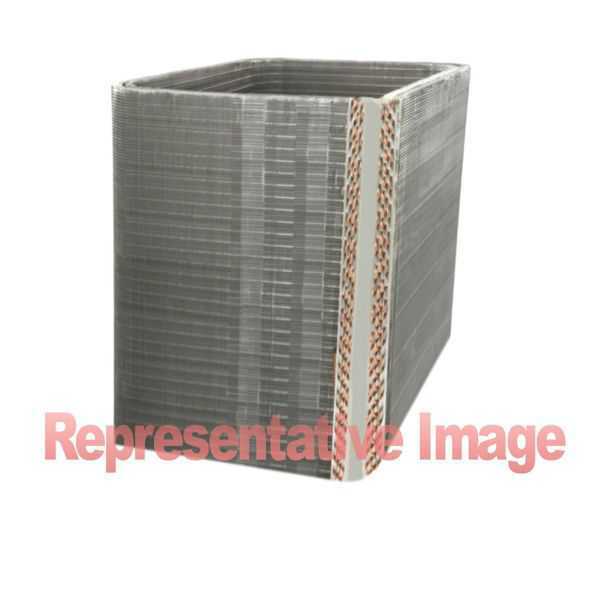 You can use central air conditioning units for Residence, any domestic premises, offices, shops, food processing areas, factories, computer rooms and restaurants. In short they can be used pretty much anywhere and everywhere. When should I go for Central AC? 1. When your area is more than 500 sq.ft. 2. When you have adequate 3 phase power. 3. When you want to create "plush" interiors. An air conditioner seems as if it cools your home's air, but it actually makes your home air less warm by removing heat from the indoor air and transferring that heat to the outdoor air. 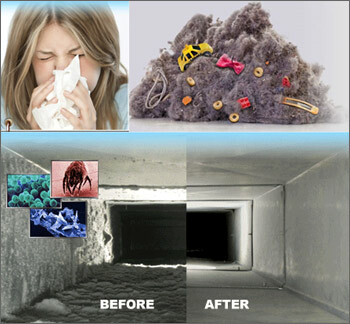 More specifically, when warm air inside your home blows across the indoor evaporator coil, its heat energy transfers to the refrigerant inside the coil. That transfer, in turn, “cools” the air. The refrigerant is pumped back to the compressor where the cycle begins again. The heat absorbed by the refrigerant is moved outside your home while cooled air is blown inside. Moisture that contributes to humidity is also condensed out of the air. Your central cooling system is usually combined with your central heating system because they share the same ductwork for distributing conditioned air throughout your home. It can vary, depending on how much the system is used and how regularly it is checked or serviced. 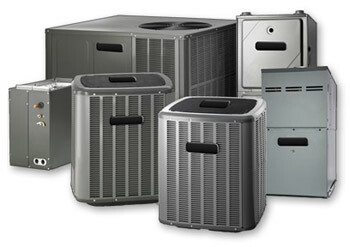 Generally, the average life of cooling units is about 20-25 years, but individual units may vary and last much longer, depending on use and how well they are maintained. Heat pumps have about the same life span, an ARI survey showed average heat pump life to be about 14 years when recommended maintenance procedures were followed. Newer units are expected to last even longer. Central heating refers to the process of providing warmth or heat to the interior of a home or building from one point to multiple rooms. In central heating, heat is created through combustion of fossil fuel either in a furnace or boiler and the heat is transferred usually by forced air ductwork, water circulating in pipes or steam fed through pipes. The heat generation generally happens at one place which could be the furnace or mechanical room. Contemporary central heating systems have solar powered sources. This depends largely on individual circumstances for example, how large is the area to be air conditioned, how large is the family, what temperatures are required, how well the house is insulated, where the house is located, etc. Central systems require internal ducting; window units take up valuable window space. 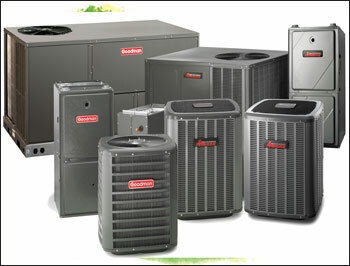 In many cases, if more than three large rooms need air conditioning, it is best to consider central air conditioning. Which is more efficient, a central ducted unit or ductless system? This depends on a few factors, including house size and layout. Ductless systems tend to be a bit more efficient because they help cut down on the heat loss that can occur along the ducts. What are the types of central air conditioning units? 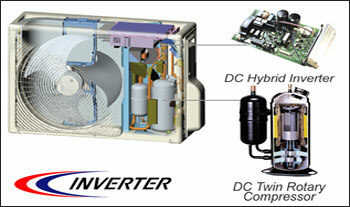 The units are sold either as split-system or packaged units. Although both are the ducted types, in the split-system units, the metal cabinet that is installed outside the home has the compressor within the condenser, while an inside cabinet is called an evaporator. A packaged unit contains the evaporator, compressor and condenser all in the same metal cabinet that is installed outside. Packaged units contain heating elements and eliminate the need to have a separate furnace, but are more expensive. 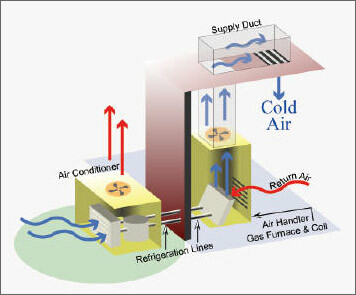 Split-systems are the ones most commonly found in residential construction. 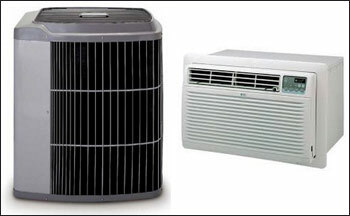 Are air conditioners and heat pumps efficiency rated ? Yes. 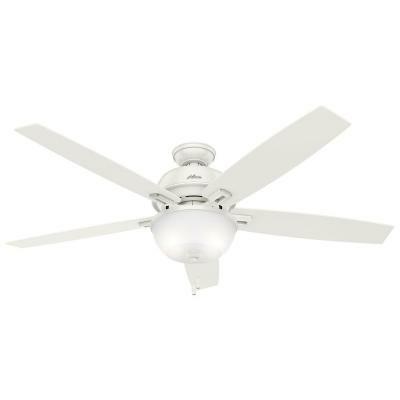 Central systems are rated by the seasonal energy efficiency ratio (SEER). Many older systems now in use have SEERs of 6 or below. By 1994, the average SEER for all units shipped by manufacturers in the U.S. improved to 10.61 for central air conditioners and 10.94 for central heat pumps. The higher the rating, the more efficient the system. There are several factors to consider, do you have high humidity, how many people are in the house at the time, is it real hot outside, etc. If it takes 30 minutes to bring the temp down 1 degree that is probably too long. You may have a leak in your system and need to add refrigerant.